The fallout and division that is CHIFF did not have to happen. Tremendous common ground exists: who disagrees that children deserve safe, loving families? Unfortunately, the folks who crafted CHIFF (Children in Families First, S. 1530 and H.R. 4143) did so in a vacuum, excluding significant constituents: international adoptees and original parents. That short-sighted decision has come back repeatedly to haunt them. Perhaps they felt the rhetoric of “children deserve families” is enough to bring everyone on board. It is not. Instead, there is an increasing amount of pushback from many corners of the international adoption community, a mounting demand not for shallow rhetoric but for genuine, thoughtful policies that meet currently existing needs. The legislation, introduced in the House over a year ago and the Senate 6 months ago, has failed to gain traction. It has incurred much controversy, perhaps due to its evangelical proponents, perhaps due to its many supporters who oppose gay people as adoptive parents, perhaps due to its unclear cost (a “modest portion” of $2 billion), perhaps due to its decision to censor those who disagree or question them, or perhaps due to the concern that aid provided by CHIFF to other countries will be tied to the country’s participation in intercountry adoption. For whatever reasons, it has been hammered from many sides, seemingly to the surprise of its supporters. I’ve been among those criticizing CHIFF. I’m an adoptive parent, and I deeply believe that all children deserve families. I believe in adoption, when it is done in an ethical, transparent way that genuinely meets the needs of all involved, not just at placement, but over lifetimes. Could this controversy, criticism, and lack of traction have been avoided? Perhaps, had CHIFF proponents reached out to the international adoption community in a meaningful way. Perhaps, had they held hearings on current, glaring needs of internationally adopted adults and children, and of marginalized international first parents. Perhaps, had they insisted on better pre- and post- adoption services, with equity, access, and affordability for everyone. H.R. 1403). CHIFF’s intent, from their web page, is this: “We protect children by preserving families, reunifying families or creating families through adoption.” Everyone agrees that children around the globe deserve safe, loving families: it’s a laudable goal. Family preservation, domestic adoption, and international adoption are ways to achieve that goal, especially for vulnerable children. I am the parent of four children through adoption: 2 sons from the US, twin daughters from Ethiopia. My children, all in their 20’s now, are my life’s greatest blessings. CHIFF, unfortunately, ignores many important realities of international adoption. It fails to include the voices of adult adoptees and of first/original international parents, the people affected most directly by this legislation and the most knowledgeable about international adoption and family preservation. CHIFF proponents appear to have made no effort in seeking out these groups, especially prior to introducing the legislation. Indeed, the main supporters of the legislation (as listed on the CHIFF webpage) are adoption agencies and adoption attorneys, who have a significant economic stake in increasing the numbers of international adoption, and do not have expertise in family preservation. Internationally adopted adults and international first parents should have a significant place at the table of any international adoption policy. That is not the case with CHIFF. 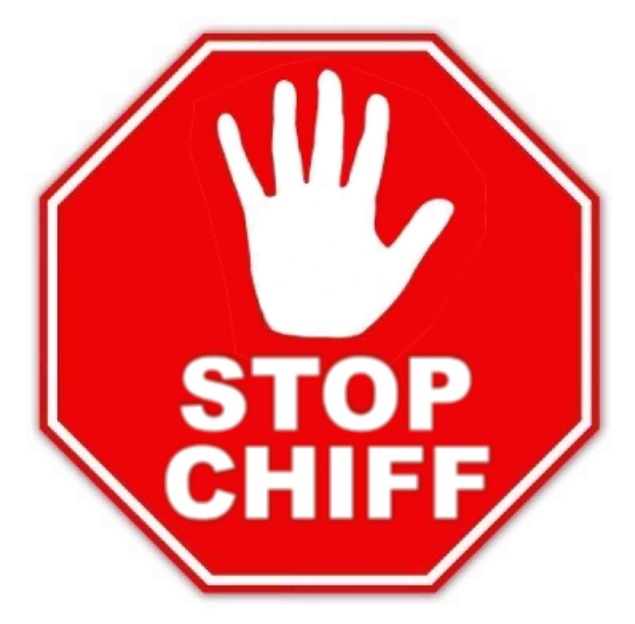 Several current, glaring problems in the international adoption community must be solved before CHIFF is even considered. One example is that the US government currently does not provide citizenship for all international adoptees. Adoptees who were brought to the US for the purpose of adoption by US citizens prior to 2000 have been deported to Brazil, Korea, India, Germany, and elsewhere. It is regrettable that CHIFF proponents, especially adoption agencies, have been unable to move the citizenship legislation, which would affect adoptees they placed years ago, and who are now promoting legislation to expand international adoption. I hope that all supporters of CHIFF would be deeply motivated to demand the US citizenship legislation for all adoptees now, in the name of fairness and integrity, and well before advancing an enormous piece of expensive, controversial legislation. Another example that CHIFF does not address is the huge, gaping need for genuine, rigorous pre-adoption preparation, and for substantive, effective, accessible post-adoption counseling and resources here in the United States. Surely we can craft adoption policy far better than CHIFF, in terms of preparation and counseling of birth/first parents and of adoptive parents prior to adoption, and in terms of post-adoption resources and services for everyone. I’d like to see some degree of equity in counseling and services (before and after placement) for international birth parents as compared to US adoptive parents. One possibility is re-vamping the US adoption tax credit as one means of doing this. No new money–just an equitable, sane distribution of revenue (billions of dollars) that the US federal government is already providing to adoptive parents. So far, the US has given some $7 billion in tax credits, primarily for international and private adoptions, and a fractional amount for the original intent of US foster care adoptions. A third example: CHIFF does not address the grim cloud of corruption and fraud over international adoption. Many US families have brought children to the US only to find out the children have families who wanted to keep them, but were trafficked or otherwise brought to the US in unethical circumstances. Adult adoptees have traveled back to their home countries and learned very different stories from what the agencies told their adoptive parents. CHIFF minimally acknowledges the corruption that exists in international adoption. The fraud and corruption should be acknowledged, researched thoroughly, and (ideally) eliminated. Fourth, CHIFF does not address the tragic and disturbing practice of “re-homing” here in the US, recently cited in Reuters’ articles, which looked at re-homing practices over 5 years. Better preparation and better post-adopt services (including respite, training, access to therapists who understand adoption, trauma, and related issues) surely would have prevented some of these complex cases. Fifth, while CHIFF does not meaningfully address current needs here in the United States regarding international adoption policy, it would use USAID and other taxpayer money to increase international adoptions, to create new bureaucracy within the State Department, and to establish new programs around the globe. The CHIFF web page is decidedly vague on the amount: “a modest part of $2 billion” is the amount listed. ▪ Good data, solid research, and substantive information about current realities in the US international adoption community. ▪ Good data, solid research, and substantive information about fraud and corruption in international adoption practices. ▪ Inclusion and buy-in from adult international adoptees and from international birth/original parents, and not solely from adoptive parents, adoption agencies, and adoption attorneys. ▪ Funding and training for pre-adoption and post-adoption resources that are effective and accessible. ▪ Legislation and/or other resources that provides guidance and oversight for families in crisis, with transparency for adoption disruptions and services for children. I believe in adoption, when it is done in a transparent, ethical way. I believe in equitable services for all those involved in adoption, including original (birth) parents. I believe we need to address current problems in the international adoption community before undertaking huge new programs around the globe. CHIFF excludes vital stakeholders, is expensive, and ignores genuine needs in the US and international adoption community. It should not move forward. Surely we can do far better than this, and truly meet the needs of vulnerable children and families. Thank you again, for not co-sponsoring this legislation.